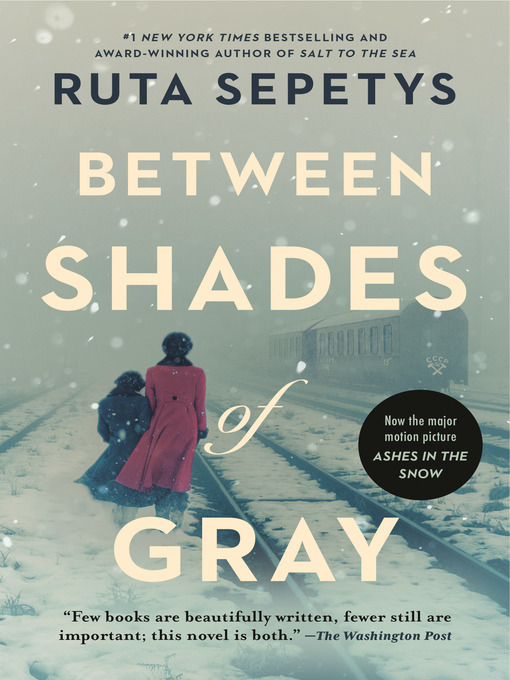 From New York Times and international bestseller and Carnegie Medal winner Ruta Sepetys, author of Salt to the Sea, comes a story of loss and of fear — and ultimately, of survival. Fifteen-year-old Lina is a Lithuanian girl living an ordinary life — until Soviet officers invade her home and tear her family apart. Separated from her father and forced onto a crowded train, Lina, her mother, and her young brother make their way to a Siberian work camp, where they are forced to fight for their lives. Lina finds solace in her art, documenting these events by drawing. Risking everything, she imbeds clues in her drawings of their location and secretly passes them along, hoping her drawings will make their way to her father's prison camp. But will strength, love, and hope be enough for Lina and her family to survive?